An original photo I took had a flash of white light I wanted to erase. 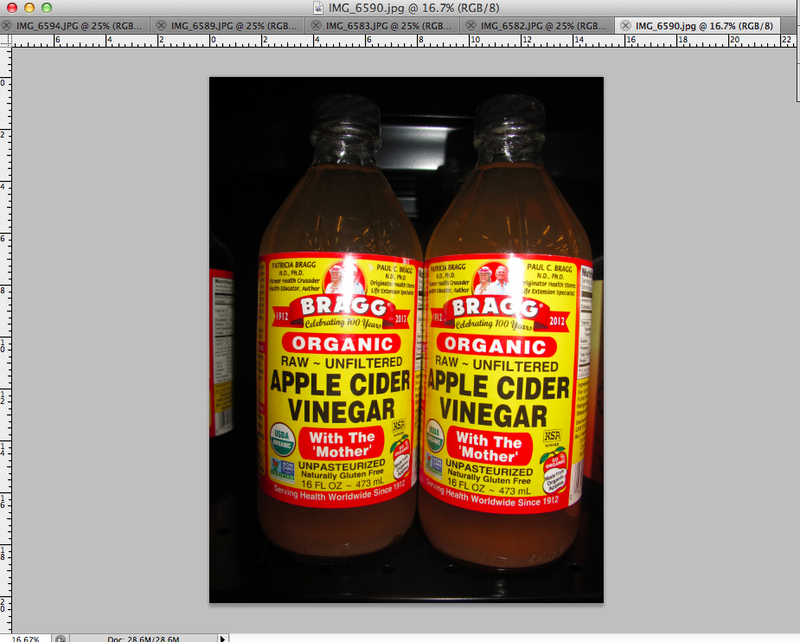 To do this I first opened my image in photoshop. 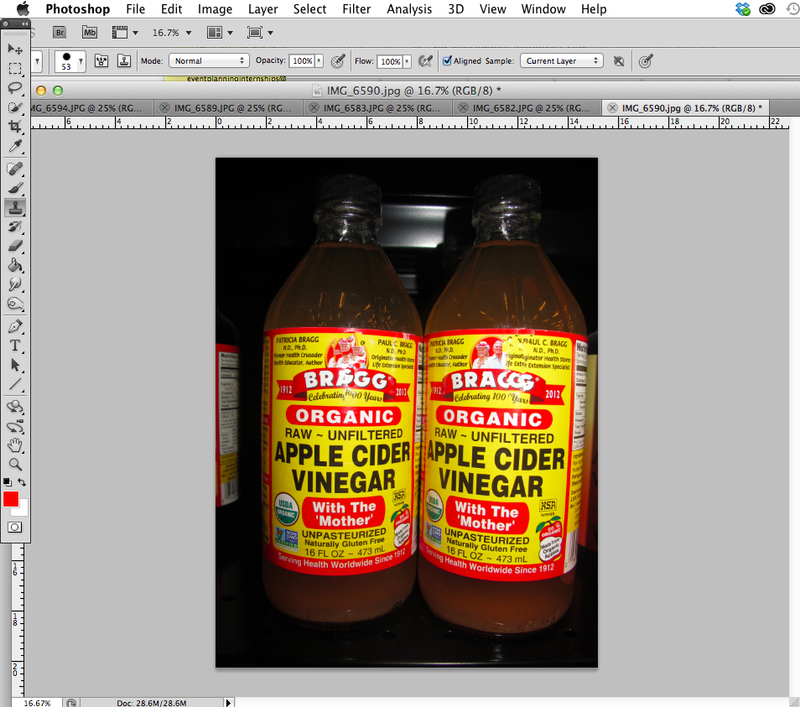 Then I selected the CLONE STAMP TOOL from the left hand side of my tools menu. You can adjust the size of the selection by clicking on the number in the top left corner of the screen. Where it says 53 (in my example), I can click there to adjust the hardness and dimensions of the tool. While holding down the OPTION button on the keyboard, select the area of the image you would like to replace. In my case, I selected the yellow next to the white flash because I want that area of the white to be replaced with yellow. Now let go of the option button and fill in the area with the desired color using the clone stamp tool you have previously selected. Note that to effectively fill the part of the image you want to erase, you should repetitively click on it rather than dragging the tool around the area. ~ by avelinbabel on February 20, 2014. Best voice & procedure – I think you had the best voice because you kept your language & images clear and to the point. 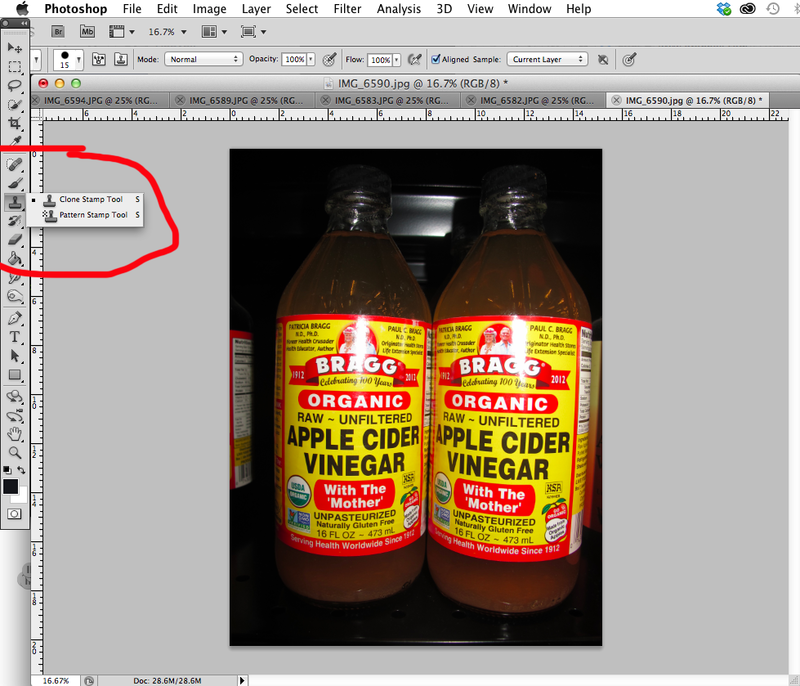 For example, you capitalized the “CLONE STAMP TOOL” in the text and marked where it was located on the image in red. Best procedure. You highlighted the problem to fix and clearly stated how to get to the solution. This was supported by pictures of where the item was located to click on. Hi Avelin! I think your post had the best procedure, particularly because of your supplementation of each step with an image to make it clear that something new has happened. Keep up the great work!